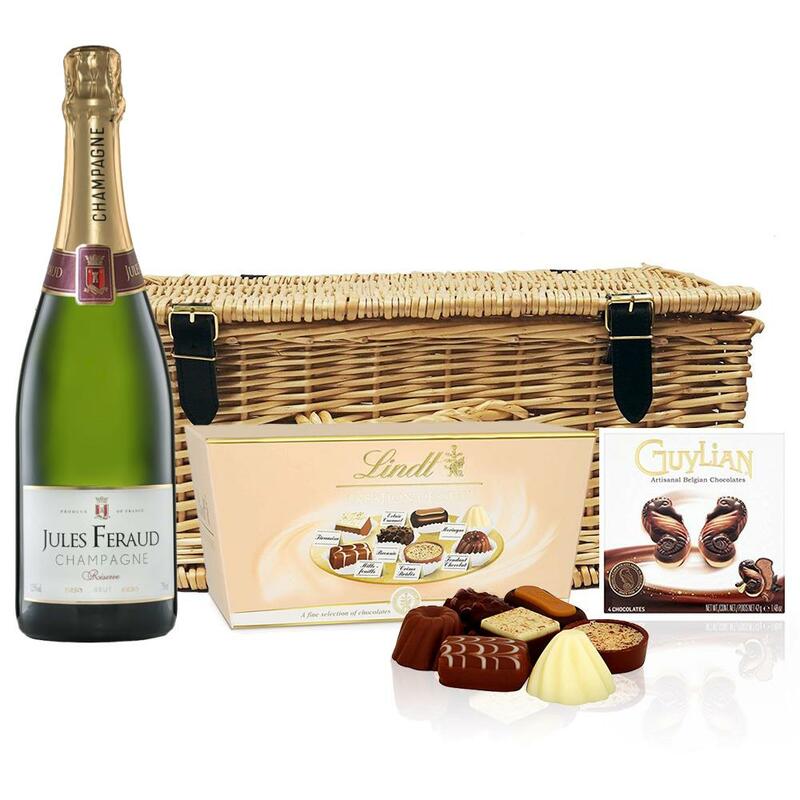 A delightful gift of Jules Feraud Brut 75cl along with a box of Guylian Artisanal Belgian Chocolate Hearts 42g and Belgid'Or Fine Belgin Chocolates (175g) all packed in a wicker hamper with leather straps lined with wood wool. All gifts come with a gift card with a message of your choice. Jules Feraud Brut is a golden champagne with rich, savoury aromas. Powerful and elegant it is a fresh dry wine with a balance of fruit and acidity. A fresh, fun and lively champagne for any occasion. This stunning champagne comes presented in a stylish gift box, with the option to include your very own personal gift card message. This product is hand packed onsite by Gifts International, and is not affiliated with any other brand. Gifts International is responsible for this product combination/set.